Reiki is a form of alternative therapy commonly referred to as energy healing. It emerged in Japan in the late 1800's and is said to involve the transfer of universal energy from the practitioner's palms to their patient. -Reiki is a form of energy therapy. -Despite skepticism in some circles, it is growing in popularity. -It involves the transfer of energy by laying on hands. -Reiki's advocates say it can treat many conditions and emotional states. Reiki Healing aims to help the flow of energy and remove blocks in a similar way to acupuncture or acupressure. Improving the flow of energy around the body, say practitioners, can enable relaxation, reduce pain, speed healing, and reduce other symptoms of illness. It is also said to induce deep relaxation, help people cope with difficulties, relieve emotional stress, and improve overall wellbeing. 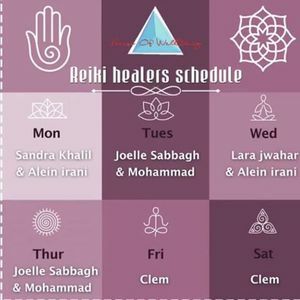 Book your session with either Sandra Khalil or Arein Irani every Monday at your preferred timing. Joelle Sabbagh or Mohammad Chahine every Tuesday/ Thursday at your preferred timing. Lara Jawhar/ Arein Irani every Wednesday at your preferred timing. Clemence every Friday/ Saturday at your preferred timing. 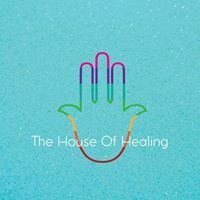 Contact us on 01423161 in order to book your healing session.